Now that spring and summer begin in the southern hemisphere, the time is ideal to do any production, with sunny weather and more moderate temperatures. If you are thinking about an audiovisual project and you want to do it in this area, we invite you to know a little more about our member in Chile, who has already worked for companies such as Philips, Sony or Skechers. Discover TPO – The Production Office through its portfolio and the locations that they can offer you in Chile. 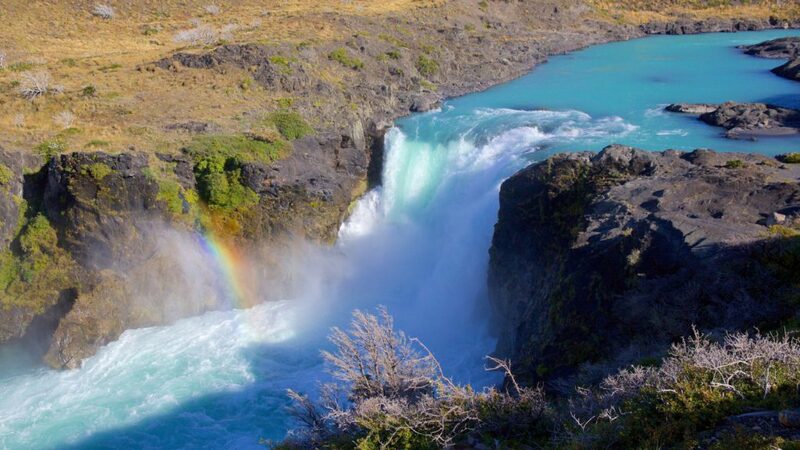 Torres del Paine National Park has an area of ​​ 227,298 hectares. It is located in the Province of Ultima Esperanza, Region of Magallanes y Antartica Chilena. 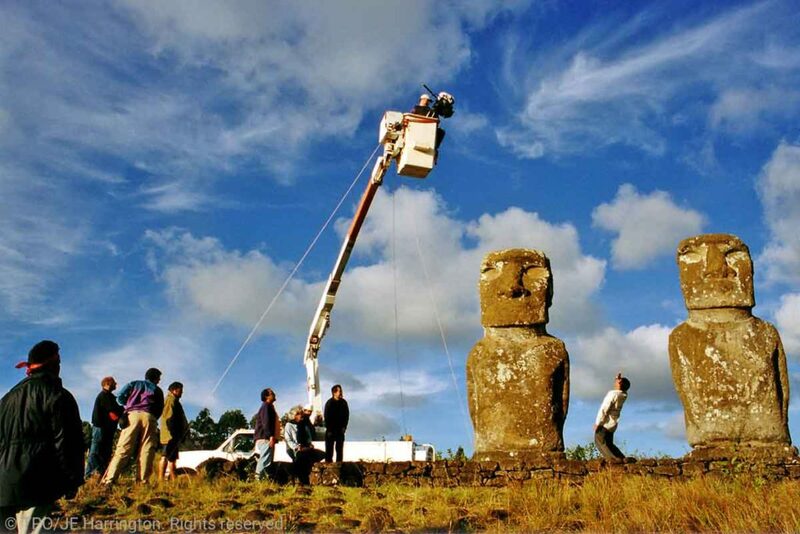 In April 1978, it was declared a Biosphere Reserve by UNESCO. 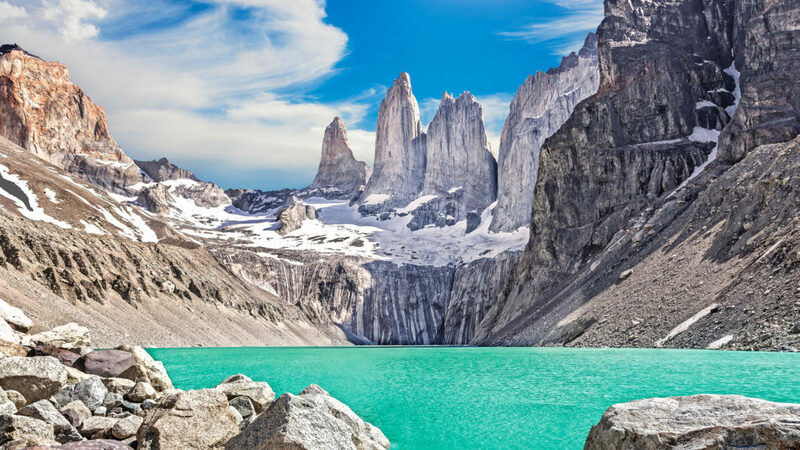 In recent decades, the Torres del Paine National Park have seen a steady increase in visitors, up to now 155,000 people a year, making it the third most visited national park in Chile. Despite the number of visitors, it is an ideal place to find unique and different locations for your audiovisual projects. In this nature reserve, beauty comes in a thousand forms in an extensive territory that includes glaciers, icebergs, rivers, waterfalls, turquoise lakes surrounded by mountains, and much more. 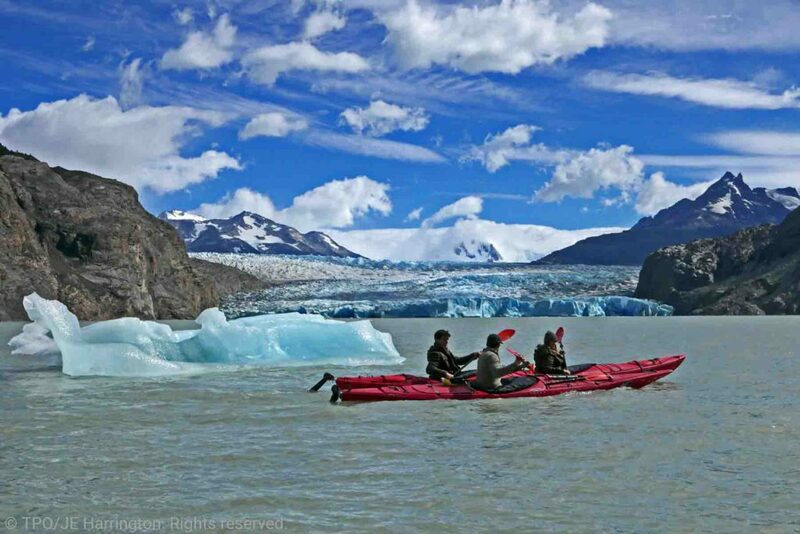 In this article we are going to talk about the glaciers, the mountains and the lakes Nordenskjöld and Pehoé, two wonders of intense turquoise waters that are united by a waterfall. 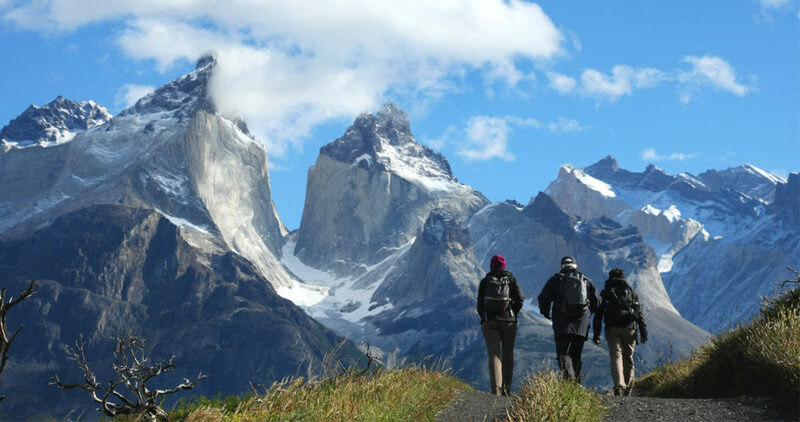 The Torres and Cuernos del Paine are located in a region of glaciers and millenarian ice fields, in Patagonia. They are rocky massifs with spectacular views from every angle. The Towers are an emblem of the country, and the Horns are peaks of granite and sedimentary rocks in two shades. 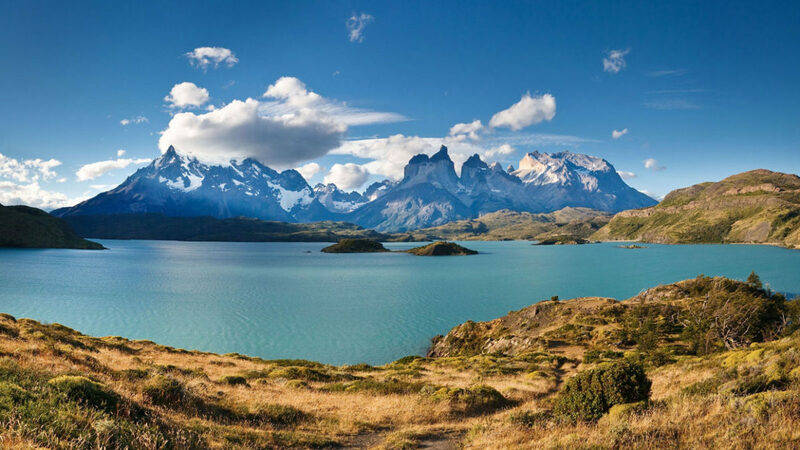 The Torres del Paine are aligned from north to south, between the valleys of the Ascencio river and the river Bader. 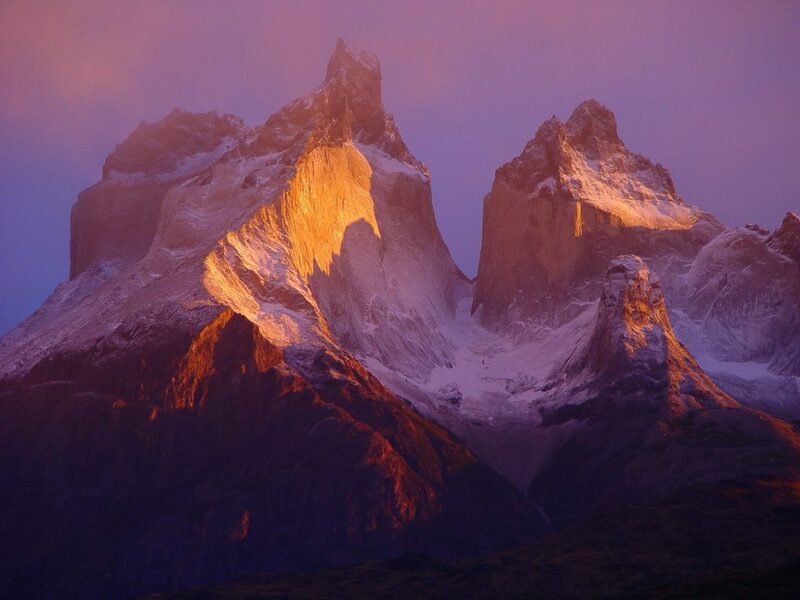 They are three, the Torre Norte or Torre Monzino, the lowest tower (2,600 mt), the Central Tower (2.800 mt) and the South Tower, the highest of the three (2,850 mt). At the Mirador Base de las Torres, you can get a panoramic view of these giant granite towers as well as the torres glacier and the lagoon, a fantastic landscape for audiovisual or photographic projects of clothing or materials for mountaineering. 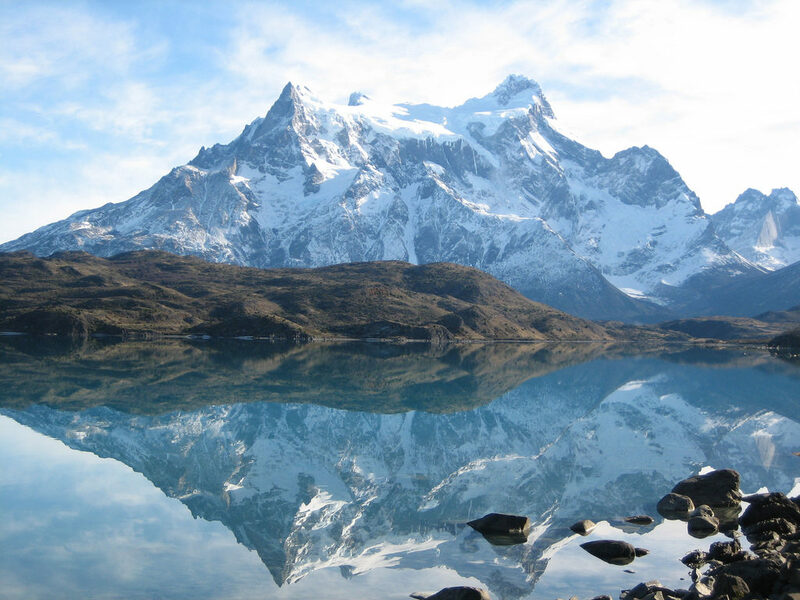 The Horns of Paine are a set of three hills, resembling the horns of a large animal, the North Horn (2,200 m), the East Horn (2000 m) and the Main Horn (2,600 m). Its forms are spectacular, with sharp edges, different colours of rock and vertical walls that seem impregnable. The horns have sections of granite that crosses them horizontally with approximately 700 m of thickness. This makes the horns an unique and extremely interesting geological formation, ideal for audiovisual productions and photographic shootings of climbing and high mountain sports. This great mountain has four peaks aligned from north to south, the southern summit or Bariloche (2,660 m), the central summit (2,739 m), the North summit (2,760 m) and finally the Main Summit (3,050 mt). This last one is the most difficult to see, since it is almost all the time covered by clouds, only a few lucky ones have been able to see this mountain in all his splendor. The turquoise lake Nordenskjöld is located next to the famous Horns of the Paine. The lake’s surroundings are ideal for walking. It has a depth of 200 meters that allows also water- and other sports. The Nordenskjöld Lake is a perfect destination for its surroundings. To witness it from afar and capture the natural color is wonderful. In this location audiovisual productions related to excursions, cavalcades, trekking, camping and aquatic sports can be realized. Walking along the lake side you can visit the waterfall until you reach the Nordenskjöld Viewpoint, where it is possible to observe the imposing mountains that rises from the lake. 85 Kilometers from the village of Villa Cerro Castillo we find Lake Pehoe. 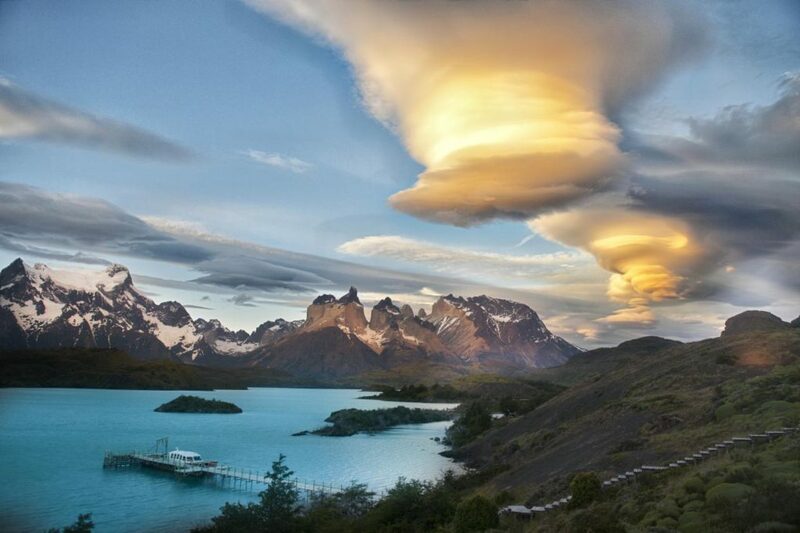 It is located in an environment next to the horns of the Paine, and always accompanied by a changing climate that generates a unique different look at each moment. The effects with the turquoise water, the clouds, the fog and the sun, are spectacular. 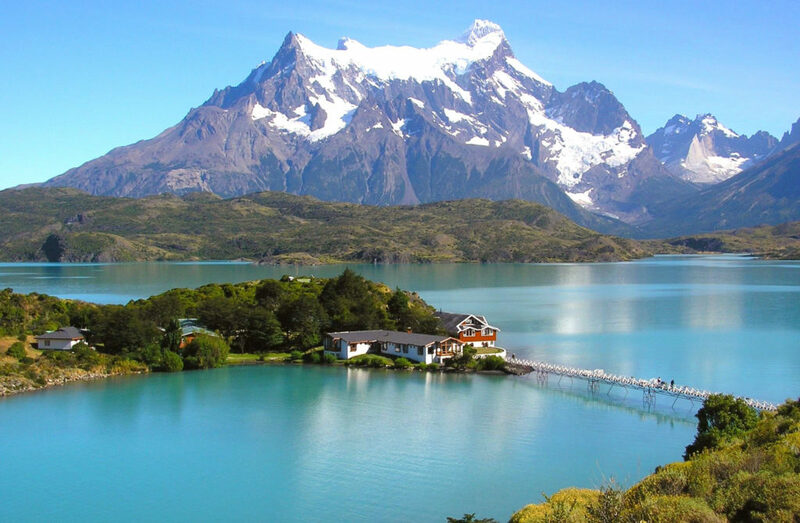 This beautiful lake is one of the best places to observe the Cuernos del Paine and the environment that surrounds it. Sometimes you can see the mountains reflected in the water, which produces an unique show. Absolutely superb for your shootings. The turquoise color of these lakes is a consequence of the amount of minerals that comes from the glaciers. The intensity of the sun changes the hue of the water at each moment, so each shot of your audiovisual production or photographic shooting will be different from the previous one. Due to its shades, tones, surroundings and light situations, the Gray Glacier looks like an abstract work of art in a glacial landscape. It combines its shades with sky, clouds, sunsets and ice crystals, to capture a true work of art in the landscape. The result is dreamlike, with blue and turquoise colours, modifying every moment. The glacier is an ice mass of 6 kilometres wide, interrupted in its front by a rocky island and with walls of ice of more than 30 meters of height. The blocks of ice of the Gray Glacier take forms like caves, cracks and icebergs that drift on the lake. Torres del Paine National Park in Chile offers great possibilities for your audiovisual productions or photographic shootings in nature, with truly unique landscapes. Do not miss it! 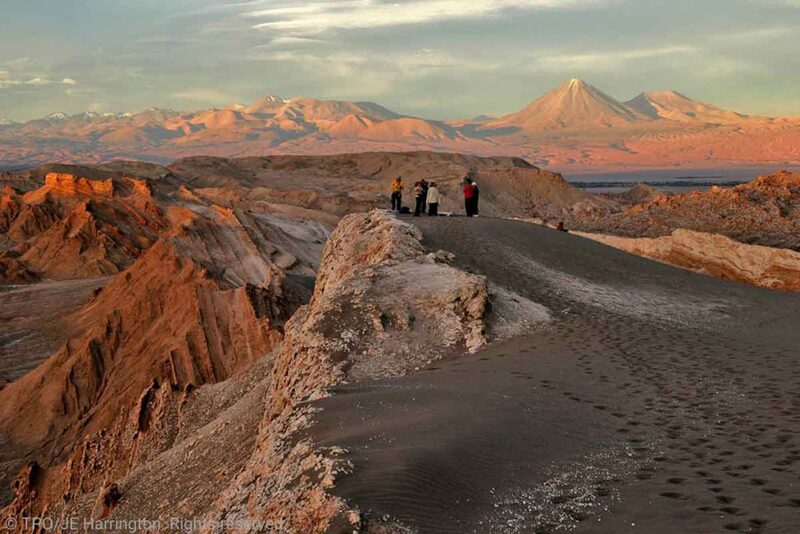 IF YOU LIKED THIS COMPILATION OF LOCATIONS OF Chile AND YOU WANT TO KNOW MORE ABOUT REMOTE DESTINATIONS LIKE THESE FOR YOUR AUDIOVISUAL PRODUCTIONS OR PHOTOGRAPHIC SHOOTINGS, CONTACT US NOW.